Pisces: Don't get snagged in identical traps or sucked into similar riddles or obsessed with comparable illusions. PISCES (Feb. 19-March 20): As you make appointments in the coming months, you could re-use calendars from 2007 and 2001. During those years, all the dates fell on the same days of the week as they do in 2018. On the other hand, Pisces, please don't try to learn the same lessons you learned in 2007 and 2001. Don't get snagged in identical traps or sucked into similar riddles or obsessed with comparable illusions. On the *other* other hand, it might help for you to recall the detours you had to take back then, since you may thereby figure out how to avoid having to repeat boring old experiences that you don't need to repeat. 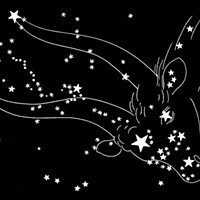 ARIES (March 21-April 19): On September 1, 1666, a London baker named Thomas Farriner didn't take proper precautions to douse the fire in his oven before he went to sleep. Consequences were serious. The conflagration that ignited in his little shop burned down large parts of the city. Three hundred twenty years later, a group of bakers gathered at the original site to offer a ritual atonement. "It's never too late to apologize," said one official, acknowledging the tardiness of the gesture. In that spirit, Aries, I invite you to finally dissolve a clump of guilt you've been carrying . . . or express gratitude that you should have delivered long ago . . . or resolve a messy ending that still bothers you . . . or transform your relationship with an old wound . . . or all of the above. 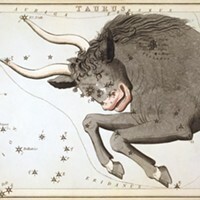 TAURUS (April 20-May 20): The Committee to Fanatically Promote Taurus's Success is pleased to see that you're not waiting politely for your next turn. You have come to the brilliant realization that what used to be your fair share is no longer sufficient. You intuitively sense that you have a cosmic mandate to skip a few steps — to ask for more and better and faster results. As a reward for this outbreak of shrewd and well-deserved self-love, and in recognition of the blessings that are currently showering down on your astrological House of Noble Greed, you are hereby granted three weeks' worth of extra service, free bonuses, special treatment, and abundant slack. CANCER (June 21-July 22): The Appalachian Trail is a 2,200-mile path that runs through the eastern United States. Hikers can wind their way through forests and wilderness areas from Mount Katahdin in Maine to Springer Mountain in Georgia. Along the way they may encounter black bears, bobcats, porcupines, and wild boars. These natural wonders may seem to be at a remote distance from civilization, but they are in fact conveniently accessible from America's biggest metropolis. For $8.75, you can take a train from Grand Central Station in New York City to an entry point of the Appalachian Trail. This scenario is an apt metaphor for you right now, Cancerian. With relative ease, you can escape from your routines and habits. I hope you take advantage! VIRGO (Aug. 23-Sept. 22): "You can't find intimacy — you can't find home — when you're always hiding behind masks," says Pulitzer Prize-winning novelist Junot Díaz. "Intimacy requires a certain level of vulnerability. It requires a certain level of you exposing your fragmented, contradictory self to someone else. You running the risk of having your core self rejected and hurt and misunderstood." I can't imagine any better advice to offer you as you navigate your way through the next seven weeks, Virgo. You will have a wildly fertile opportunity to find and create more intimacy. But in order to take full advantage, you'll have to be brave and candid and unshielded. SAGITTARIUS (Nov. 22-Dec. 21): The state of Kansas has over 6,000 ghost towns — places where people once lived, but then abandoned. Daniel C. Fitzgerald has written six books documenting these places. He's an expert on researching what remains of the past and drawing conclusions based on the old evidence. In accordance with current astrological omens, I suggest you consider doing comparable research into your own lost and half-forgotten history. You can generate vigorous psychic energy by communing with origins and memories. Remembering who you used to be will clarify your future. 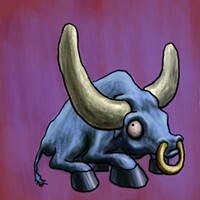 CAPRICORN (Dec. 22-Jan. 19): It's not quite a revolution that's in the works. But it is a sprightly evolution. Accelerating developments may test your ability to adjust gracefully. Quickly-shifting story lines will ask you to be resilient and flexible. But the unruly flow won't throw you into a stressful tizzy as long as you treat it as an interesting challenge instead of an inconvenient imposition. My advice is not to stiffen your mood or narrow your range of expression, but rather to be like an actor in an improvisation class. *Fluidity* is your word of power. AQUARIUS (Jan. 20-Feb. 18): It's the Productive Paradox Phase of your cycle. You can generate good luck and unexpected help by romancing the contradictions. For example: 1. You'll enhance your freedom by risking deeper commitment. 2. You'll gain greater control over wild influences by loosening your grip and providing more spaciousness. 3. If you are willing to appear naive, empty, or foolish, you'll set the stage for getting smarter. 4. A blessing you didn't realize you needed will come your way after you relinquish a burdensome "asset." 5. Greater power will flow your way if you expand your capacity for receptivity.